The latest West End cast of this play have come in from Scarborough – where it all started. It’s a matter of routine for casts in long-running West End productions to change. So much, it’s unlikely to be noted where the play itself, rather than the leading actor, is the attraction. The Woman in Black is a leading example. Second only to The Mousetrap, with which it sort-of shares a genre – same house if a different room – its success is phenomenal. Especially for a production nobody particularly planned and which the original author and director thought a bad idea. The unintentional progenitor was Sir Peter Hall. In the mid-eighties he decided to carve several distinct companies within the huge South Bank operation he ran in London, known as the National Theatre. Each company would work with a director and have slots in each of the building’s three auditoria. Sir Peter invited Sir Alan (as he now is) Ayckbourn to lead one of the companies. Good news for London (it led, among other productions, to Ayckbourn’s revival of A View from the Bridge which had even author Arthur Miller, who’d presumably enjoyed a few Views in his time, to proclaim it the best ever). Meanwhile, back at the seaside, what was happening in Ayckbourn’s own theatrical backyard, the Stephen Joseph Theatre? Associate Director Robin Herford, whose account of being interviewed and employed for Scarborough has a genuine Ayckbourn tone, had been left minding the shop and decided to fill a gap by asking one of the actors, Stephen Mallatratt – also a playwright – to come up with something for the studio around Christmas-time. There wasn’t really a studio at the Stephen Joseph Theatre in the Round (as the then building was called). But part of the theatre restaurant, The Square Cat – named, naturally, after Ayckbourn’s first play for the Library Theatre (a former home for the company) – was raised and could be cleared of tables to form a performing space. A small one. Four actors at most. And no scenery to speak of. Mallatratt it was who chose Susan Hill’s short novel as source. Nonsense, in effect, cried the novelist. It has far too many characters. It could probably do with a fair amount of scenery too as solicitor Arthur Kipps travels by train and road from London to the coast and occupies an old house on an island cut-off from the mainland except at low tide, there to go through the deceased occupant’s many papers. Horrors, echoed the management, also concerned about the scope and expenses the story seemed to demand. Had Mallatratt lost his marbles? He had not. He’d had one of those rare and invaluable ideas that saw how the impossible could become the ingenious, in the process inventing an occasion when less was, entirely, more. In addition to a storytelling technique allowing minimal set and props – the setting being an old theatre where events are recreated – the idea is that Kipps is so traumatised by events he’s been through he needs to tell his account to the family around him and, being accustomed to the solicitor’s whispered suggestion rather than the performer’s pointed oration, hires a professional actor to coach him in the delivery of his script. Fortunately, given the actor’s estimation of the length reading the document might take, it is soon filigreed and filtered. And the Actor takes on the role of Kipps, leaving the man himself to represent characters met along the way. It’s a design that brilliantly allies an atmospheric story with a consideration of how theatre works in, and on, the imagination. There’s richness, despite the awkward trick the piece demands, that the ultra self-conscious Kipps needs to get into the swing of things to portray a variety of characters met along the way. It’s something Christopher Godwin, playing the role created by Jon Strickland, accounts for by Kipps’ line about realising each moment as it becomes real for him, following the Actor’s example. That other role, created in 1987 by Dominic Letts, is now occupied by Tom Godwin. Yes, some relation: the son born in Scarborough while Christopher was establishing his reputation during the 1970s among the superb actors attracted to working with Ayckbourn. His character has a more straightforward role, but it needs careful judgment, as the Actor must respond to the developments in Kipps and be able to criticise or encourage his nervous companion as well as show a situation develop where his control over events loosens. Once Mallatratt’s play opened it swiftly became a thing to see. From its studio origins it went via the much larger Studio at Birmingham Rep Theatre to the Lyric Hammersmith and the West End, where it landed in 1979. The production has run for decades at the Fortune Theatre, while simultaneously there have been tours – and not just the week-by-week engagements but visits for a full three weeks, as if it were a home production, in several repertory theatres over the years, such is the Woman’s drawing-power. Now, following a run in the Stephen Joseph Theatre’s intimate, end-stage McCarthy auditorium, the Godwins, directed by Herford, on Michael Holt’s set – apparently the mirror-image of that in Scarborough – open on 11 August 2015 as the latest cast in this surprise success and the most genuinely linked to the play’s origins in its history so far. That’s unlikely to change. Other things have, with the visceral excitement of screams and the development of tension towards eventual shock moments. It might even be said that the Woman, barely a presence originally, has become too clearly evident with a number of sudden appearances that begin to move from genuine shock to a mix of gasp and nervous laughter suggestive of awareness this is theatrical effect. There might be more suggestion, fewer sightings Other means of raising the nervous temperature – ominous sounds underscoring scenes, lighting and strange changes to the dark room visited by Kipps during his stay – are increasingly deployed as the screw is turned. Speaking of which there was a downside to this success. The following year, deciding the ghostly went down well in December – what with those M R James ghost stories on TV as well- the theatre sent Mallatratt epic the following year, giving him the main stage and an epic cast of three for his dramatisation of Henry James’ The Turn of the Screw. But the first law of theatre is – or ought to be – you can never predict what will, or won’t, work. It too has its indeterminacies, but while Hill’s story eventually reveals all, reserving only the matters of time and location to increase a haunted atmosphere, James’ psychological and narrative ambiguities left the piece struggling. And Mallatratt, alone of the parties chiefly involved, is no longer alive to see his success roll on, having died in 2004 from leukemia. But those who knew him show his most celebrated work at its very best and this Woman is set to haunt the British stages for many screams to come. The Woman in Black continues, with Christopher Godwin as Arthur Kipps and Tom Godwin as The Actor and Charlotte Brooke, at the Fortune Theatre, Russell Street London WC2B 5HH from 11 August 2015, directed by Robin Herford, designed by Michael Holt, lighting by Ric Mountjoy, sound by Gareth Owen Booking to 16 January 2016. Tuesday-Saturday 8pm, matinees Tuesday* & Thursday 3pm, Saturdays 4pm. Sunday 21 December at 3pm & 8pm. No performances 25-27 December or1 January. 3pm only on 24, 31 December. 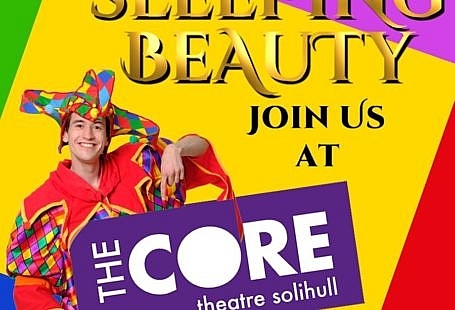 Tickets: 0844 871 7627 www.atgtickets.com. * Except 15 Sep, 13 Oct, 10 Nov schools matinee at 1pm. ReviewsGate Editor, Rod Dungate, spends time Behind Bars – in the interest of drama. With Birmingham Bold Text all is revealed. 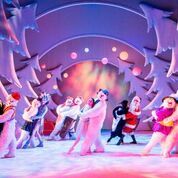 Birmingham Rep’s adaptation of The Snowman is now 25 years old. Rod Dungate takes a look at its stage origins.